Many uses: especially great for people who are on their feet for long periods of time; Suitable for athletic, edema, diabetic, varicose veins, travel, pregnancy, shin splints, nursing, etc. 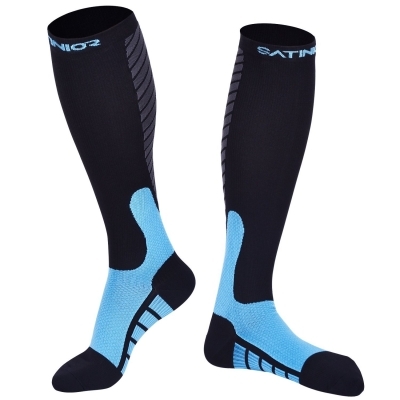 Form fitting, lightweight and breathable fabric features maintain joint stability regardless of activity; 10-20 mmHg graduated compression, boost blood circulation. A great gift to runners, athletes, fitness workouts, hiking, tennis, cycling, office workers, airplane travelers, or anyone on their feet all day, it is beneficial to their health.